There is a vast and exciting array of materials to choose from when constructing new buildings. While some materials may only lend themselves well to specific types of applications, others can be used in a variety of ways and are fun to design with. 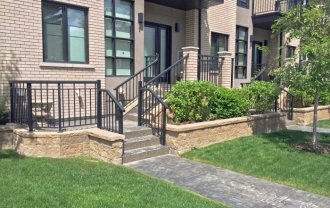 Our retaining wall blocks used for modern styles are a great example of a versatile, multi-purpose product that makes it easy to unleash creativity in an assortment of projects. The modern look of these wall blocks lends itself well to the soaring heights of imagination, so we invite you to dream big as you plan, design, and execute your creations. With their rugged stone facade and sleek curved edges, CornerStone’s modern retaining wall blocks are a perfect fit for professional and DIY projects alike. 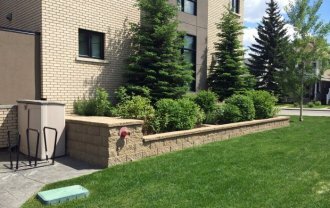 As their name suggests, these retaining wall blocks are ideal for crafting stylish, textured walls that can frame nearly anything, or function as beautiful planters for the front of buildings. 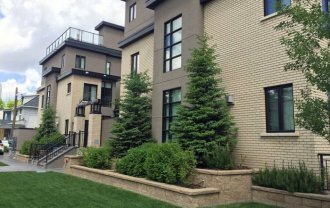 We think the beauty of these retaining wall blocks, however, is that they don’t need to be limited in scope and application. 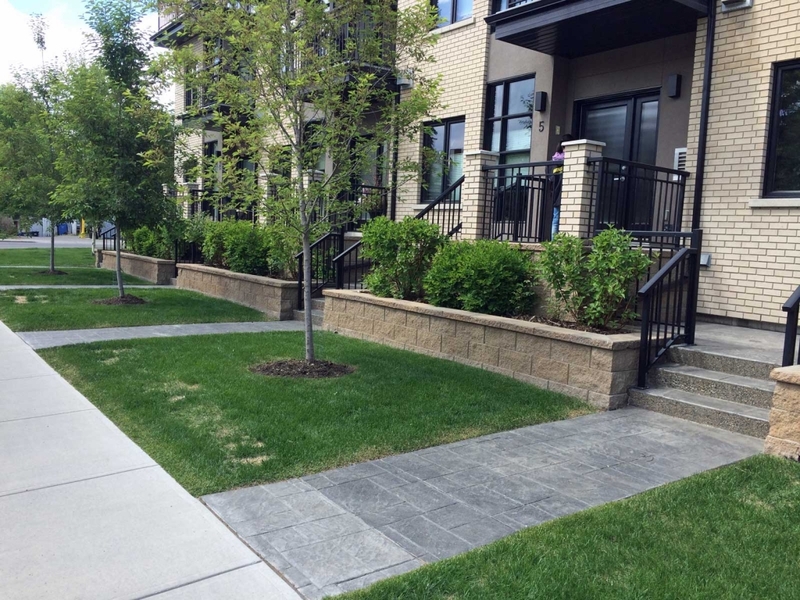 For example, our retaining wall blocks were recently used in a condo project. Because they have a hollow core, they ended up being ideal for growing gardens and creating an environment that teems with life and energy. Developers are at an advantage when using these – after all, people are naturally drawn to beautiful places where they can thrive… mind, body, and soul. 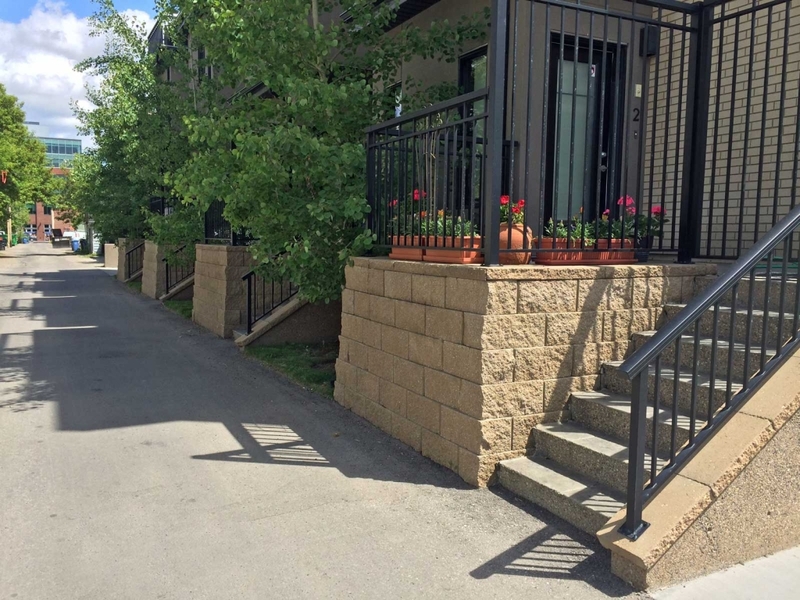 In addition, these retaining wall blocks were used to build stairs and terraces throughout the condo complex, and even encapsulated fire hydrants across the property. The result is a beautiful, modern, consistent look since everything blends seamlessly. At CornerStore, we like to encourage innovation and we enjoy helping both professionals and anyone keen to try their hand at DIY home projects, which is why we make our retaining wall blocks so easy to use. We think designers and architects will be especially pleased with the style of our block: CornerStone blocks don’t have a lip on the front, which ensures that weeds or other organic material won’t be caught in construction and potentially compromise the integrity of the structure. An absence of complex pins and connectors with these blocks maintains ease of use at every juncture, and the reduced setback provides a nice, clean feel. 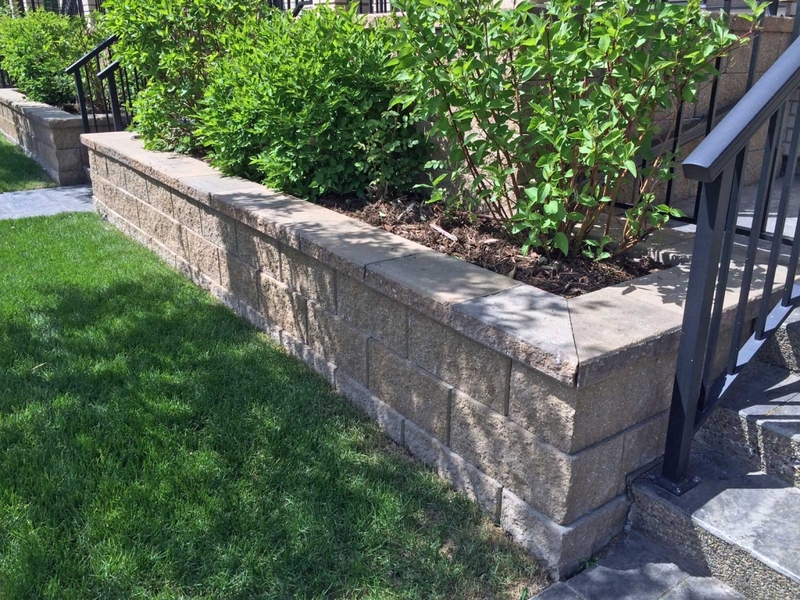 If you’re eager to embark on some DIY projects at home but aren’t sure where to begin, the modern feel of these retaining wall blocks makes them a wonderful alternative to other material. Fences are always a good investment for any property you own, even if your first instinct is to use wood, aluminum, or steel. However, these blocks can be just as effective and are far more aesthetically pleasing – and are something less mundane. If you like to entertain at home, consider decorating your patio by putting together pillars or a barbecue stand with our retaining wall blocks. There’s nothing quite as exciting as designing and building something of your own creation. 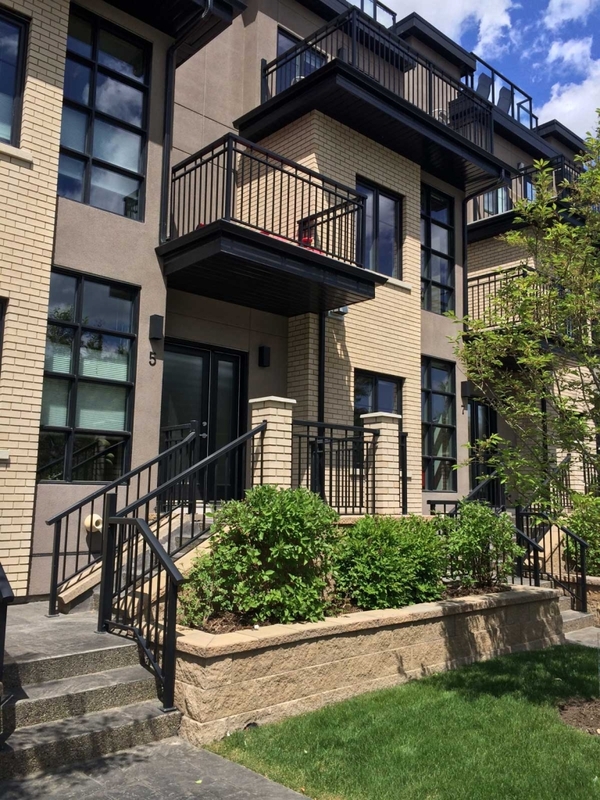 At CornerStone, we believe that professional and novice designers deserve an equal chance at bringing their dreams to life, and our retaining wall blocks for modern applications are one way we continue to make this possible.